In the past I said more than once that I wouldn’t mind paying more per milliliter for a perfume released by a brand in a smaller bottle (and I prompted brands to do so every chance I got). And I haven’t changed my mind since: many brands put a lot of efforts into each small detail of their creations, and I would love to have perfumes I want to use as a “full package” – with an original bottle and even a box. What I didn’t take into the consideration was a situation when I actually do not like the “big” bottle itself. When I thought of getting Le Labo‘s Rose 31 perfume, I immediately decided against 100 ml (and even 50 ml) bottles since not only I didn’t need that amount of any perfume, I didn’t like Le Labo’s bottles at all. Their apothecary style with scientific labels just doesn’t appeal to me. 15 ml bottle would be a perfect size regardless of how the bottle looks (it’s not worse than a plain decanting atomizer, right?) – but with the price of a ml of Rose 31 from a small bottle being almost three times higher than the price of the same ml from the biggest bottle and two times higher if you calculate it based on the 100 ml bottle, I decided to go for a decant. It was the second split in which I’d ever participated, and my collection was much smaller then, so I waited for it very anxiously. 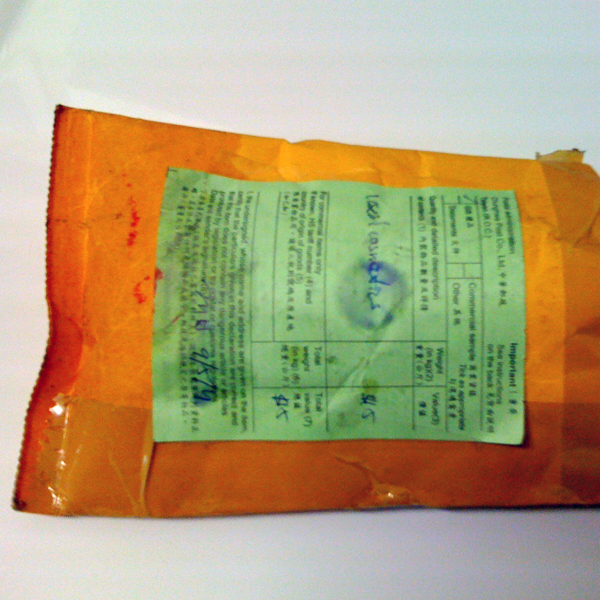 It arrived crashed – and so would have been my enthusiasm for splits if it weren’t for the very nice person who hosted the split: she offered to replace it and even absorbed the cost. 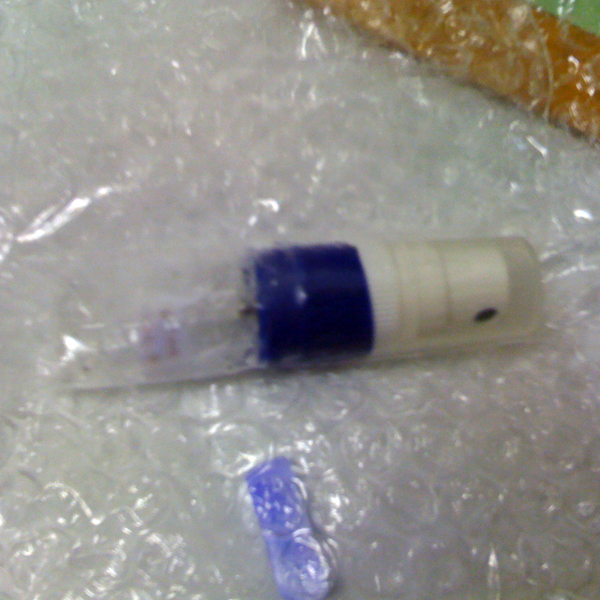 It all happened so fast – my excitement from getting the package, disappointment from seeing its content gone, and the relief after the great communication with the host of the split – that I felt a little exhausted and, without thinking straight, just sealed the remains of the decant bottle in the same envelope it came in and took it home. Later I realized I didn’t need it but a thick envelop soaked with 10 ml of potent Rose 31 smelled so good that instead of throwing it away I decided to put it into my linen closet. My replacement decant arrived soon after that and joined the growing collection of perfumes. I wore Rose 31 once in a while and enjoyed it. Meanwhile the improvised freshener in my linen closet kept its smell for over a year – and I kept being amazed by that every time I would open the door… And then I noticed that choosing what to wear I would pass this perfume over thinking “I don’t feel like it today” and realized that it was happening because coming from the linen closet the scent became so mundane and unvarying that I didn’t envisage it as a personal perfume any longer. All you have to do is spray or dip cotton balls in your favorite scent and place them on the shelves of your storage space or linen closet. This is a nifty little way to make sure your soft goods stay fresh. Plus, you’ll never have to place expensive air fresheners in the closet. I chuckled at that “economical” advice calculating how many “expensive air fresheners” I could have bought for the price of Rose 31 decant – or any of “my favorite scents” to that matter. And that is not even counting punitive damages in the form of me not wearing that perfume. Now, two years later, I enjoy Rose 31 again. I’m amazed that I liked it in the first place since both cumin and agarwood are the notes that rarely play nicely on my skin but somehow the combination of all the components in this perfume was just right. And the staying power of Rose 31 is amazing not only in the closed space of a linen closet. But something tells me I shouldn’t try Le Labo’s Laundry Detergent they offer in this scent. Lorraine (Dear Scent Diary) has described Le Labo Rose 31 really close to how I smell it so if you haven’t tried it yet read her review. This entry was posted in Favorite Perfumes, Know-How, Not a Review and tagged Le Labo, Rose 31. Bookmark the permalink. That reminded me. Some years ago, I received some perfume samples but one of them was leaking and the enclosed card was soaked with the fragrance (it was Creed -Love in Black). It smelt so nice so I tucked the card in my underwear drawer… Now the problem was that I still liked the smell but I felt kinda overdone with it and I couldn’t enjoy wearing it for a long time after that… Ha. I had a bottle of Un Bois Vanille arrive soaked into the cardboard and packing, not even a ml left in the bottle. It still sits in my undies drawer and every time I open it the smell wafts out and reminds me how lovely it is. I haven’t bough another bottle or decant though. It’s the second time in a couple of days I hear from you about this perfume. Do not buy a bottle without talking to me! ;) But I’m glad that the stain hasn’t proven to be too stubborn. Dear me, I would have sobbed my eyes out if a decant of a perfume I loved arrived smashed in the post; I’m just glad that the host of the split was so nice about it. I can understand what you mean by not wanting to wear a perfume because the scent becomes mundane from having either worn it too often, or from smelling it too often. It’s one of the reasons why I keep my wardrobe unscented, I like my clothes to smell of whatever perfume I’m wearing on that day! I wouldn’t do it with my wardrobe for the same reason but I felt it was OK with my linens. After all, it didn’t stick to my sheets – just lingered in the air. Interesting, Undina. I can understand how a beautiful scent would become mundane, smelling it on a daily basis. I’ll always admire the smell of Chergui, but I hardly ever wear it because I smell it all the time (as it has become the signature scent of my sister, whom I see often). Your photo of the rose is gorgeous, by the way! Thank you, Suzanne! 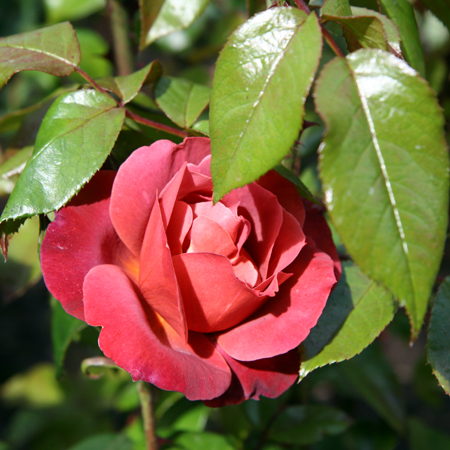 I took that photo (and many others) at San Francisco rose garden. I should say that my closet didn’t have any odors to mask – maybe because of that there was no unpleasant feelings. But you should definitely try the perfume before letting it go (Gaiac 10 didn’t work for me). So, the conclusion is NEVER use a perfume you really like for refreshing your clothes/linen wardrobe unless you want to stop liking the scent. Yes, familiarity might not breed contempt but it is certainly the mother of mundanity. One of my favourite things is the surprise scent a woolen garment or coat unworn for a while will give off when I pick it up again.. a fragment of the fragrance I was wearing the last time. If everything always smelled the same. No . Another tiny pleasure extinguished. I subscribe to “too much of a good thing can’t be good”. I need scentless space so i never spray on clothes or scent a closet. Re: Rose 31 – I probably should revisit since we typically like the same perfumes. Rose 31 turned all dirty socks on me the first time I tried it and I have not tried it since. I didn’t like Rose 31 for the first couple of tests. But then it somehow grew on me – so you might end up liking it (I warned you – so think if you actually want to try it ;) ). I will take my time before revisiting :-). Thanks for the warning….you know me well! I’m not fan of scenting anything but myself. Beacuse this depends on my very changing moods it is safer to do so. I like scented candles, but I think after burning it, everything smells like this candle….or I just get headache. Exception are just for fresh flowers. I don’t think it’s so much the candles as it is my hyper sensitive nose. So for me any candle is too much…. This is an interesting phenomenon that I have experienced, too. Anytime my house smells of something, I want the smell gone, and I usually never want to smell that smell again. I like the house to be smell-free. I have had some perfumes get spilled, and have had to get rid of them, because I just couldn’t stand smelling them anymore, even after months or even years had gone by. P.S. Nice to see you here – I started worrying.